Three counties have come together to create a low carbon, energy efficient zone which they say will be a unique magnet for internationally-trading companies looking for a near zero emissions European base and access to a major talent pool. Partners from across Carlow, Kilkenny and Wexford involved in the newly-established 3 Counties Energy Agency (3CEA) say the new ecosystem they’ve created sets the area apart as a cluster for smart, low carbon and energy efficient business. The new alliance builds on the successes already achieved by the award-winning Carlow-Kilkenny Energy Agency across both counties over the past 15 years. Adding Wexford to the group gives them the scale to achieve their ambitions in energy efficiency and renewable energy by 2030. It also builds on the Energy Agency’s significant successes since 2002 in delivering €14.3m in avoided energy consumption since 2013 for the area, according to 3CEA Manager, Paddy Phelan. Launching 3CEA, Marie Donnelly, previously Director for Renewables, Research and Innovation, Energy Efficiency with the European Commission, said it creates an important zone in Ireland. “This new partnership is an excellent example of dynamism and innovation, advancing the energy transition in the area. 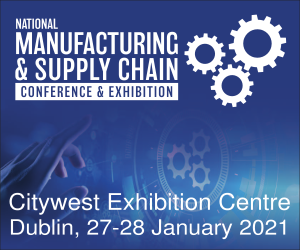 It reinforces its sustainable credentials as a location for Irish and international business and is a front -runner example not just for Ireland but also for Europe,” she said. 3CEA Manager, Paddy Phelan, says that while local authorities in the region have done much to achieve lower C02 emissions by 2030, individual counties working under the Sustainable Energy Action Plans need to step up across Transport, Agriculture, Industry and Community. “Establishing the 3CEA is a logical vehicle to make this happen. Energy consumption reductions and emissions reductions are made more efficiently and quickly in a trinity scenario and 3 SECAPs (Sustainable Energy and Climate Action Plans) are better delivered. “Everyone in this area, be they a multi-national or a home-owner in a semi-detached house, will benefit from the low carbon, energy efficient hub for business this creates. It establishes a unique ecosystem across the three counties which will be similar to the environment created by the world-renowned Berlin Energy Agency. It will be a major boost to a part of the country which has traditionally lagged behind the rest of Ireland when it comes to job creation,” Mr Phelan added. Over the past 5 years, the former CKEA has helped deliver cumulative energy savings of €14.3m plus. Of this, 57% has been in thermal/heating costs for clients. A further 29% in energy savings have been achieved across transport and 14% in electricity. Through the Better Energy Communities initiative and other programmes, CKEA has delivered for clients over €19.6 million in capital energy investment. That translates into over 300 jobs across construction, retrofit, technical, engineering and other jobs. The energy agency has worked with Kilkenny and Wexford County Council to cut the annual cost of street lighting by 64% across 19% of their entire street lighting asset with plans to complete all over the next 4 years. In Wexford, annual savings of €81,000 have been achieved. The saving for Kilkenny was €101,547 for 2017. Across Laois, Westmeath, Offaly, Longford and Galway, savings of €45,000 were achieved. Transport is a key target and CKEA worked with 12 fleet companies across Ireland to save €561,230 annually since 2016 across 371 heavy goods vehicles, HGVs. Carlow County Council has been extremely active since 2012 winning the 2013 Best Energy Community National SEAI Award, has completed in excess of 500 deep retrofits in its social housing stock, with only a small percentage remaining. 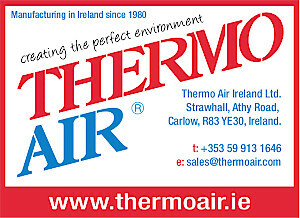 It has been pioneering heat pump technology since 2012, Phelan added. Walsh Hardware an SME in Bagenalstown is currently saving €3,600 annually for an investment of €9,005. 30% of this cost was grant-aided. In Kilkenny, winners of the 2014 Best Community Energy Project Nationally, retrofit continues. Several fire stations have been retrofitted and numerous GAA clubs, parish halls, community buildings and charitable organisations, societies and more have benefitted under the Better Energy Communities supports scheme. O’Shea Farms achieved saving of €38,000 per annum on vegetable energy cost since 2015 under 3CEAs strategic guidance. In Carlow, the energy group also helped Bagenalstown Outdoor Swimming Pool significantly cut its energy bills by €850 per annum. And in Wexford, CKEA helped the St Vincent De Paul charity shop achieve significant energy savings on its energy bills in Enniscorthy. And it has completed a deep retrofit of an entire estate under a pilot project with Wexford County Council. 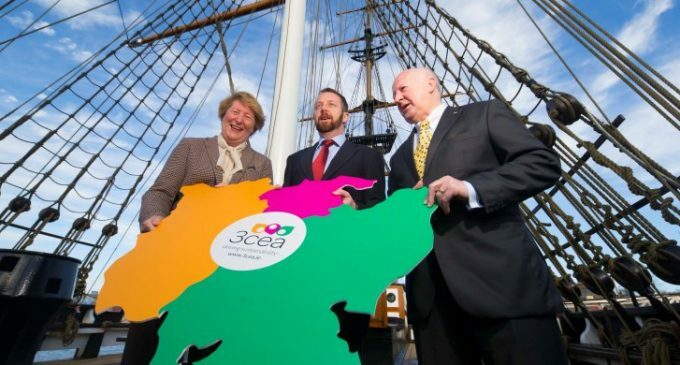 Pictured on the Dunbrody Famine Ship, New Ross, are Marie Donnelly, former Director for Renewables, Research and Innovation, Energy Efficiency with the European Commission; Paddy Phelan, 3CEA Manager; and Cllr. Denis Foley, Chairperson of the 3CEA board. Picture: Patrick Browne.